You have to excuse my absence for the past few weeks, dragon boating temporarily took over my life during the month of June with 3 races in 5 weekends. 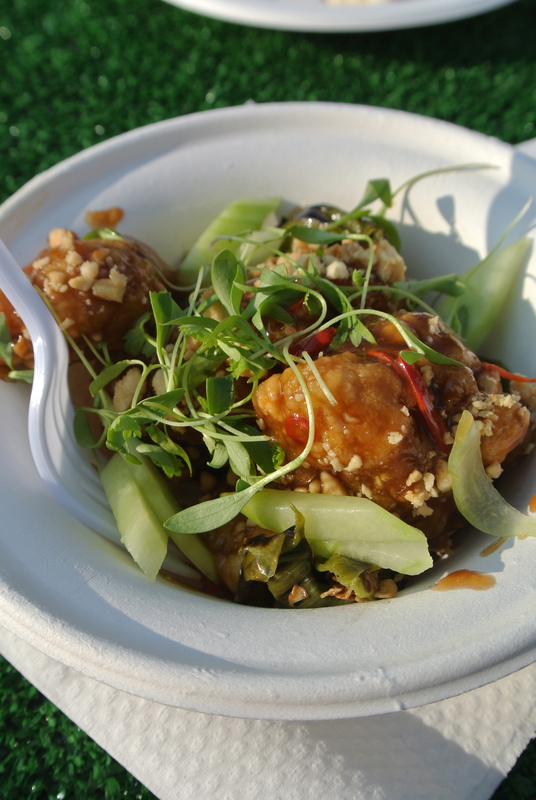 And although I had a race this past Saturday, I couldn’t pass up Taste of Toronto 2015. 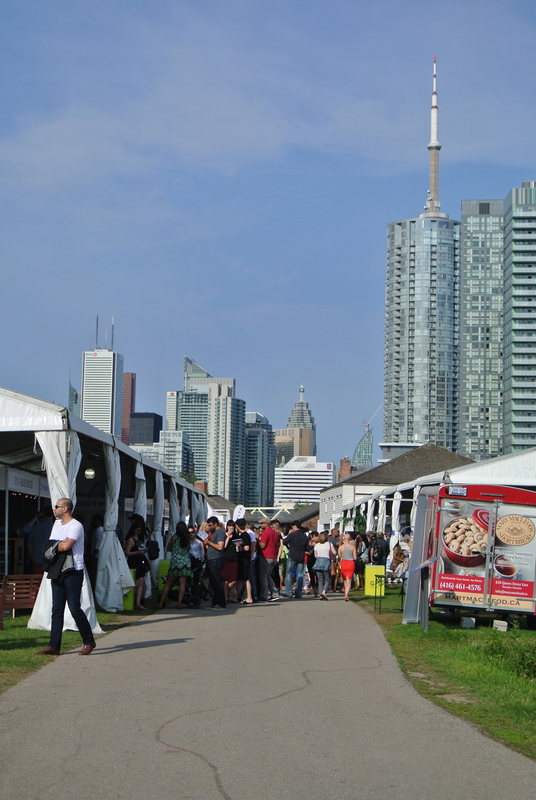 A festival showcasing some of Toronto’s best restaurants hosted on the historic grounds of Fort York, right in the middle of downtown Toronto – its like a foodie’s paradise. And what’s great is you can try 6-7 or more restaurants in a single night especially if you come with a group of friends. When I originally purchased the tickets Morimoto Toronto wasn’t on the restaurant list but to my surprise, especially because it hasn’t opened yet (anticipated to be winter 2015), it was added. So naturally, it was the first stand I hit. 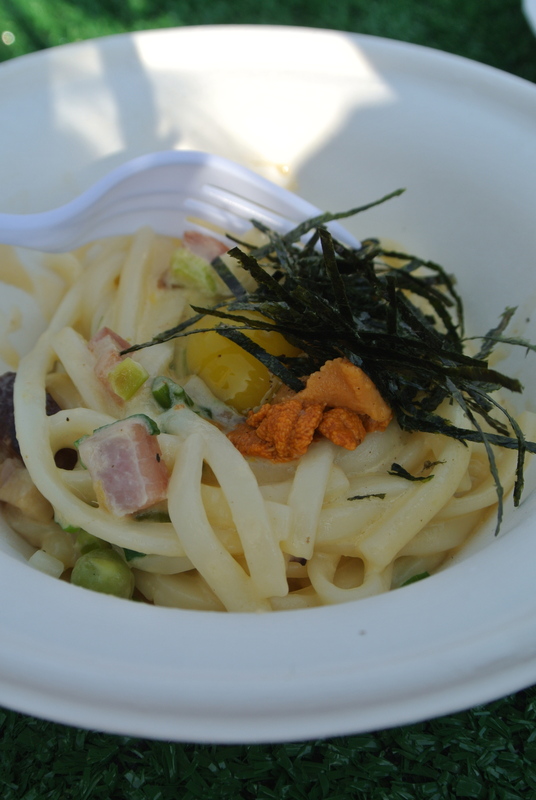 I got the uni carbonara topped with a raw quail egg (meant to be broken and mixed with the pasta), nori and made with smoked bacon and parmesan….it was delicious! And with what I’ve seen on TV, it was classic Morimoto using Japanese ingredients in unique ways. Another restaurant that I’ve been meaning to try was Barque. 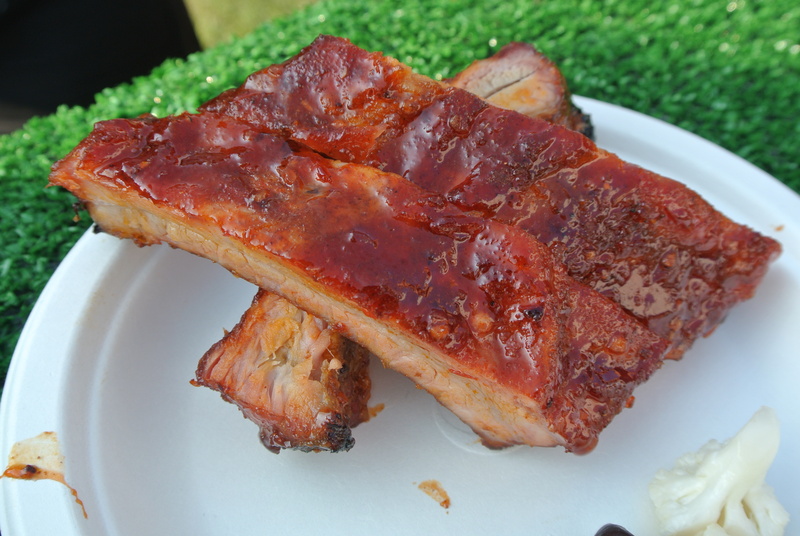 We ended up getting all three dishes that were being served – the BBQ pork taco, BBQ chicken thigh and the smoked chorizo ribs, and all they were all tasty so much so that I bought a bottle of their Texas BBQ sauce. I can’t wait to use it. We then finished the night with a couple of desserts, including some goat cheese ice cream from Woolwich Dairy. I love goat cheese so I thought I would for sure like it in ice cream but I must admit, there’s something about the tang of goat cheese that didn’t combine well with what I expected from the texture of ice cream – it was definitely unique. Check out some of the other dishes we had! 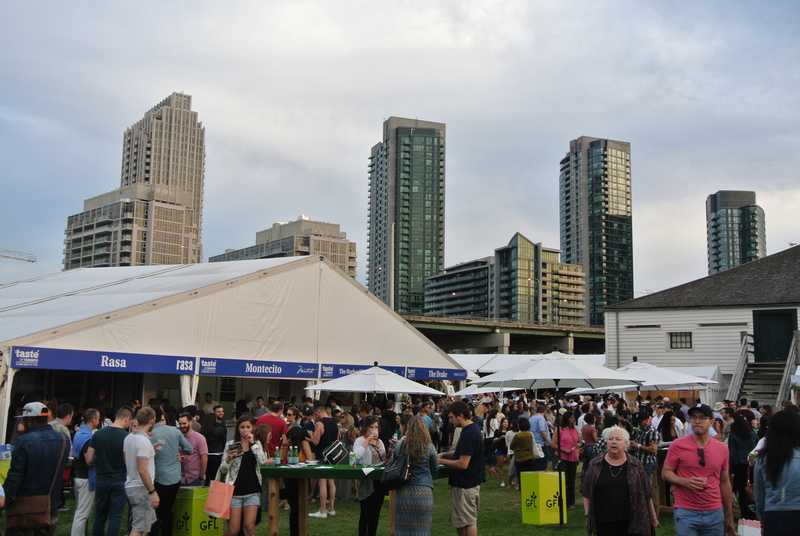 Taste of Toronto at the historic grounds of Fort York. Restaurant tents at Taste of Toronto. 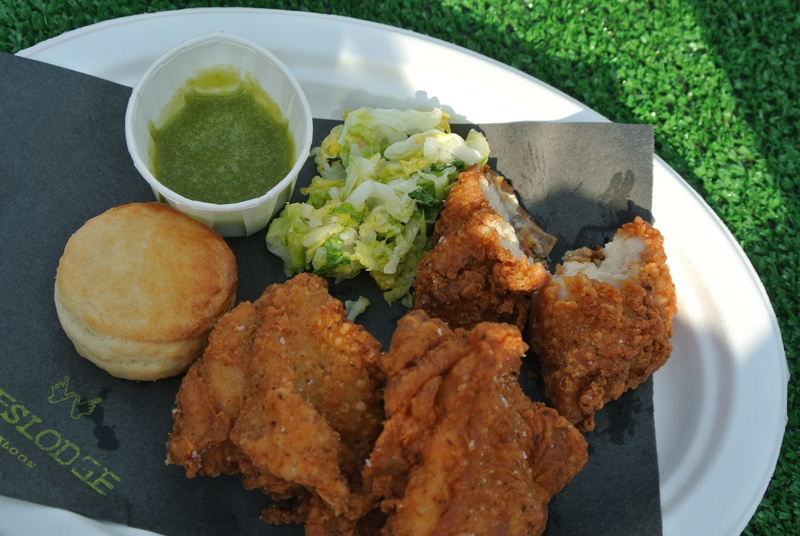 Weslodge’s Fried Chicken with 5 day slaw and house jalapeno hot sauce. 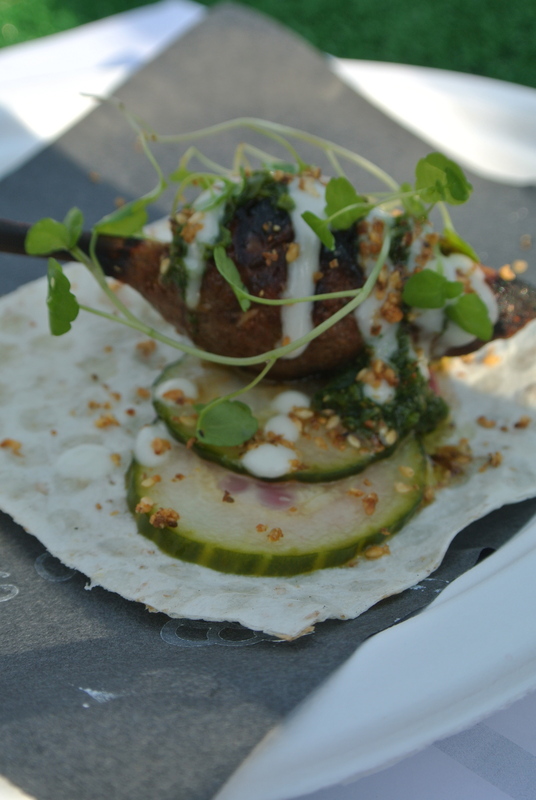 Byblos’ charcoal grilled lamb kofte with house pickles, toum and green schug. Morimoto Toronto’s uni carbonara, quail egg, smoked bacon and parmesan. 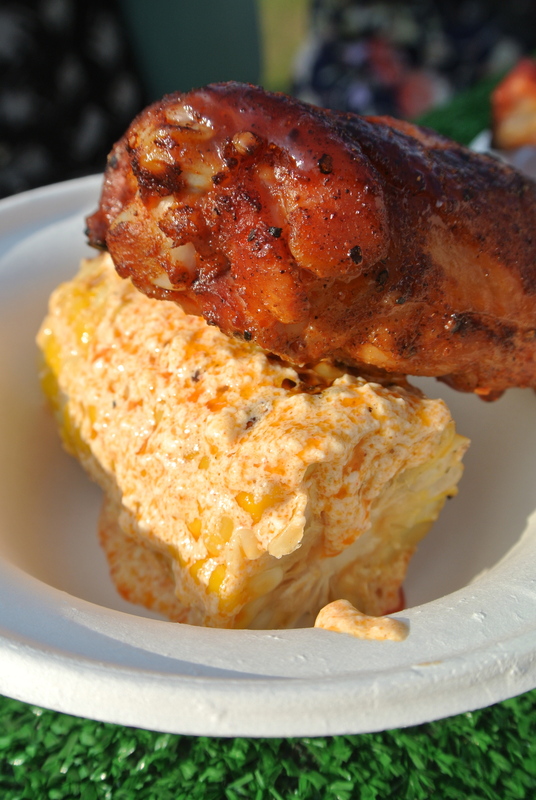 Barque’s chicken thigh with cuban corn. Splendido’s braised pork belly, peanuts, KFC and thai basil. 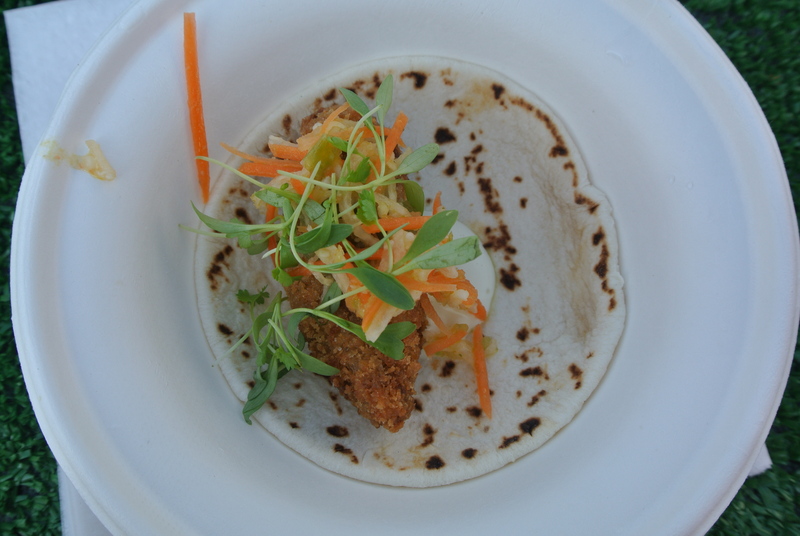 Barque’s crispy BBQ pork taco, jicama slaw, tomatillo salsa, lime cream and cilantro leaves. 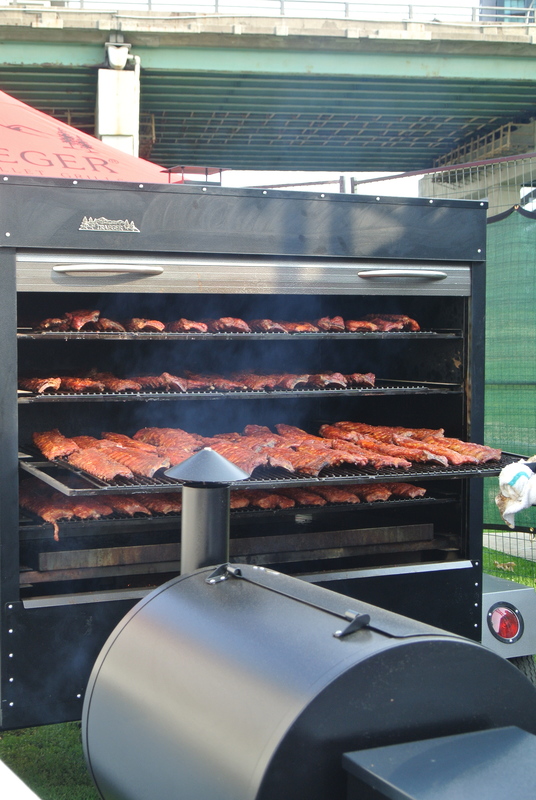 Barque’s smoker full of ribs. 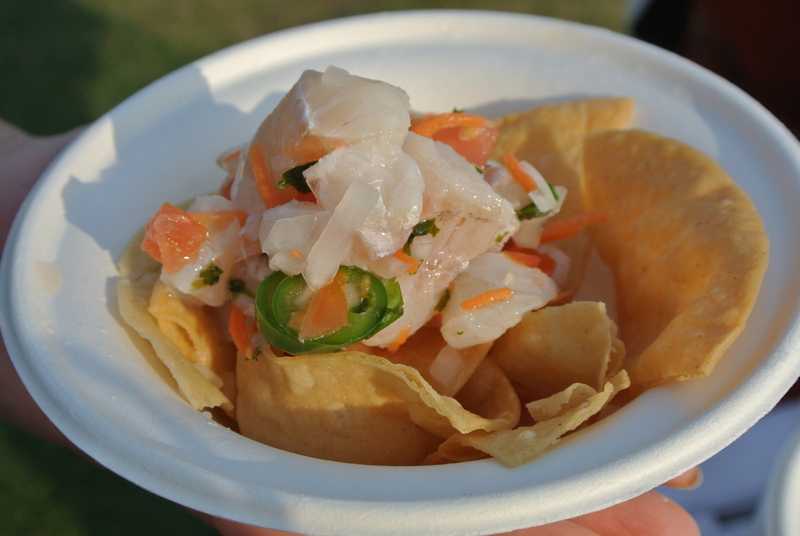 Los Colibris’ ceviche tradicional cod, pico de gallo, serrano and lime. 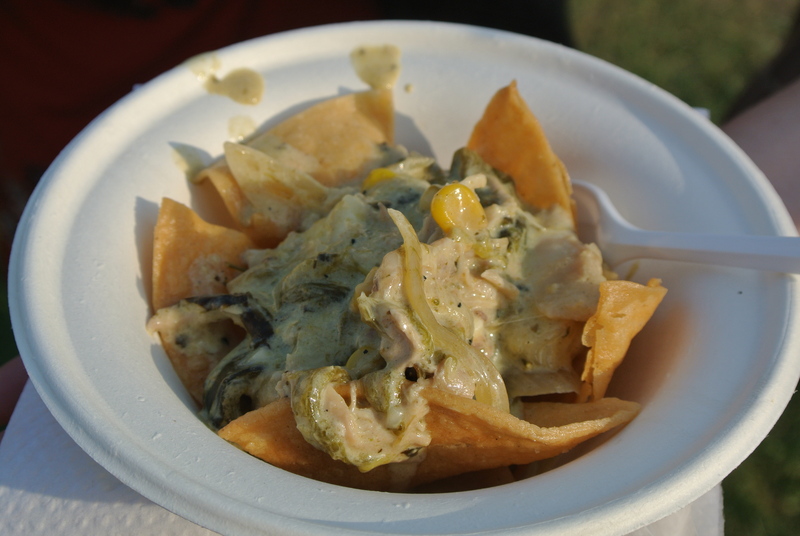 Los Colibris’ rajas poblanas chicken, corn, poblano and corn tortillas. 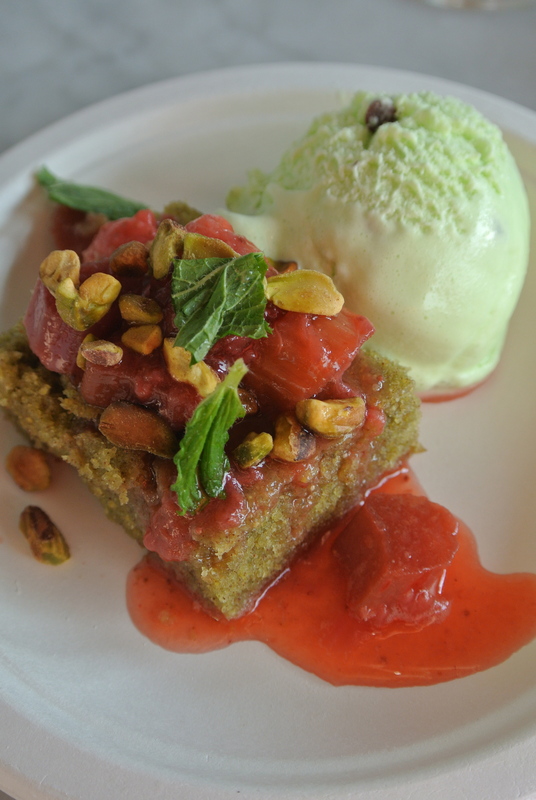 The Harbord Room’s rhubarb, strawberry and pistachio upside-down cake, mint ice cream and preserved strawberries. 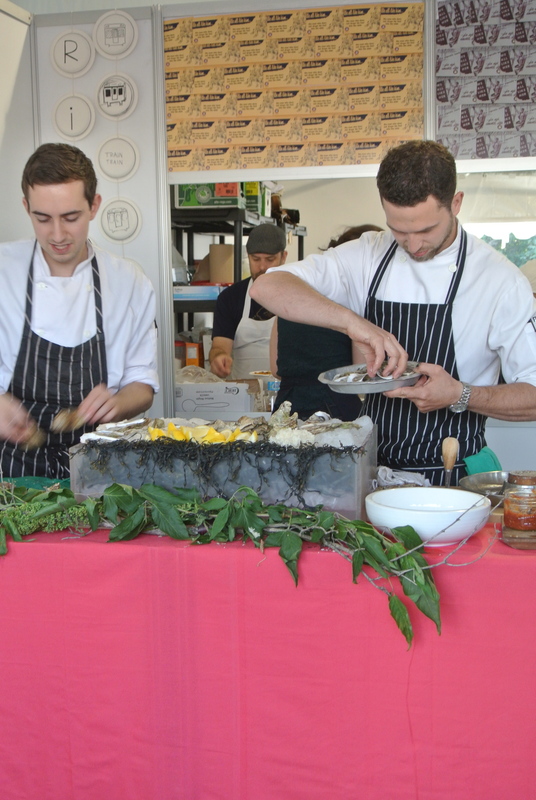 Richmond Station’s Carl Heinrich at work shucking oysters. 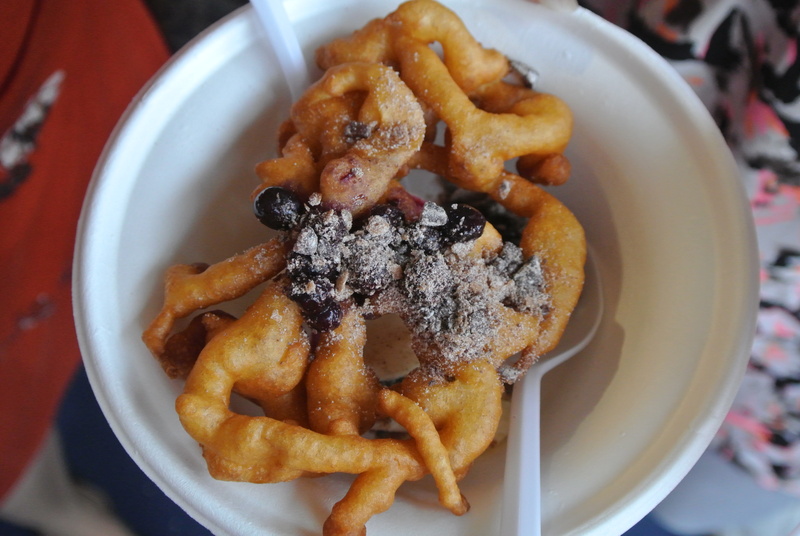 Richmond Station’s funnel cake with vanilla ice cream and stewed fruit. 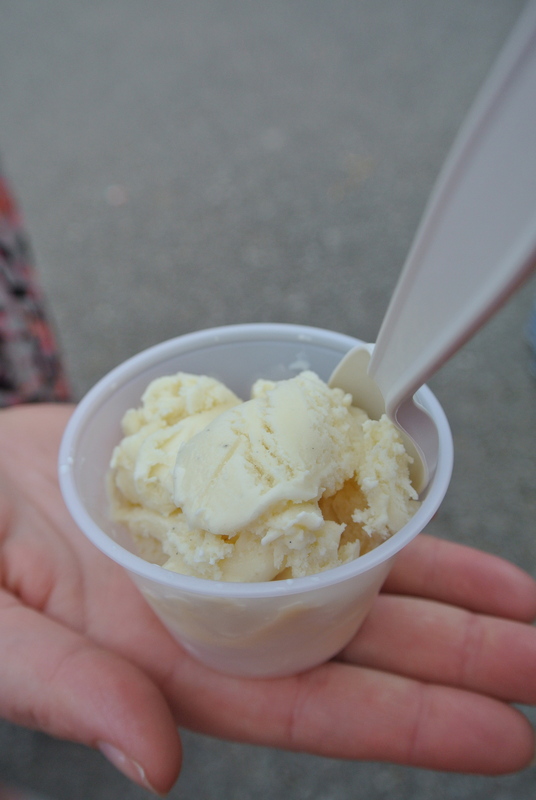 Woolwich Dairy’s goat cheese ice cream.